How to Get Your Blog Indexed in Search Engines Instantly? The life of bloggers is full of challenges, and the very first challenge that you face is to get your blog indexed in Search Engines. The very next moment after we launch a blog or website, we start finding it in Search Engines. But the fact is that it is too early for finding your blog in Search Engines. Many factors affect your blog’s presence and existence in Search Engines. And one of the most important factors among those is – SEO or Search Engine Optimization. So today, I’m discussing something related to SEO. Oh dear! What you listened? Aren’t you scared of this word? Whenever we talk about SEO, most of the newbie bloggers get scared. [You might not be one of such bloggers]. But the fact is that the word SEO is supposed to be the most fearful word of the blogosphere. And many bloggers even avoid talking about this in their initial phase of blogging. How to Know Whether Your Blog Indexed in Search Engines or Not? Why is it Important to Get Your Blog Indexed in Search Engines? So, How to Get Your Blog Indexed in Search Engines? Let me first talk “what is SEO” so that even those who are completely new to this word may understand it comfortably. SEO is all about making your website, blog or any online asset search engine friendly so that you could reach the potential customers or clients quickly. SEO stands for “SEARCH ENGINE OPTIMIZATION.” It is the process of making your blog or website enough optimized for Search Engines so that Search Engines can easily fetch the information available on your site. To make it simpler, in other words when you search for any information in Search Engines, you get a large number of results within no time. The number of results is too large, and since you are not a bot, the chances are high that you’ll land to top few results. Thus those top few results enjoy the cherry of ice-cream. So what makes them top ranked? Of course, its SEO of their site. SEO becomes very important when it comes to getting a high rank and featuring at the top in search results. Thus SEO or Search Engine Optimization is the process of increasing the visibility of your site in search results. To find your blog or site in search engines is a pleasant feeling. But many bloggers commit a common mistake after few hours of the launch of the site. They start finding their site or blog in search engines trying different keywords. And after failing to find in search engines, they get disappointed. But the fact is that you can find your blog or site in search results only if your blog is indexed in search engines. So you should first make sure whether your blog is indexed or not. One of the simplest way to know this is – Go to search engines and just type site:yourdomainname.com yourdomainname.com and hit ENTER. Make sure you replaced the “your domain name” with your domain name, for example – site:techreviewpro.com techreviewpro.com. Here is a screenshot. Found any result? If yes, it means your blog is indexed. If not, it means your blog is not indexed, and you should start working on it. To get your blog indexed by search engines is very important as Search Engines are the best way to get massive organic traffic. Though there are many other ways to get traffic. But the traffic from search engine is considered to be best for reputation as well as your brand name. Unlike other modern ways to get traffic where either you have to pay for traffic or make many efforts, traffic from search engines is effortless. If you want to enjoy a good amount of traffic and visitors without much hard work, you must consider getting your blog indexed in search engines. That is why I can’t find any reason why you shouldn’t get your blog indexed in search engines. Though major search engines like Google, Yahoo, Bing, etc. index your site automatically but it takes time. That is why many companies are launching a blog for faster indexing. But again the problem persists as it takes a reasonable amount of time even to get a blog indexed in search engines. So the idea is simple, all you have to do is let search engines know about the existence of your site or blog. Therefore here is a quick list to do so. When you launch a new site, you tell your friends, family and other members about it instantly. Whoever you say about the launch, they know immediately. But how to let search engines immediately know that you have launched your new site? The answer is simple, all you have to do is create a sitemap of your blog and submit it to various search engines. It is like inviting the search engines bot to crawl your site which is essential to get your blog indexed in search engines. Read: How to Create WordPress Sitemap Easily Within 1 Minute? Some might disagree with this point. But yes, social media helps in faster indexing. As per my personal experience, it was my Facebook fan page that appeared first in search results. So if you want to get your blog indexed in search engines, all you have to do is – create a social media fan page (not only Facebook) and share the link to your blog or site. This is a speedy way to let search engines know that you are ready. And to get your blog indexed in search engines within hours. How to Create A Facebook Fan Page of Your Blog? How to Add Facebook Fan Page to Your Blog? Blog directories or networks are essential when it comes to getting massive traffic to your blog. But at the same time, it helps in getting your blog indexed in search engines. Though it takes about 24 hours to get your blog indexed in search engines via this method, I would recommend you to go for this. The reason why I recommend this is- this method lets you create a profile which is visible to other bloggers publically in blog networks. It is the first steps to make yourself a recognized figure in the blogosphere. Commenting on other blogs is essential for backlinks. If you are completely new to the term “Backlink” then let me tell you by dint of backlinks, you can quickly shift visitors from those leading blogs to your blog. But when it comes to quality backlinks, you should concentrate on leading blogs in your niche. This method is a very popular way to let search engines know about the existence of your blog. So try this and comment as much as possible. But make sure you don’t spam those leading blogs. Try commenting something valuable and don’t forget to include your blog URL in URL field of the comment section. Must Read: Attention! Avoiding 8 Basic SEO Mistakes Can Improve Your Site’s SEO Now! Last but not the least. In fact, I have saved the best for last. Use ping services as this is a quick method of getting your blog indexed in search engines instantly. 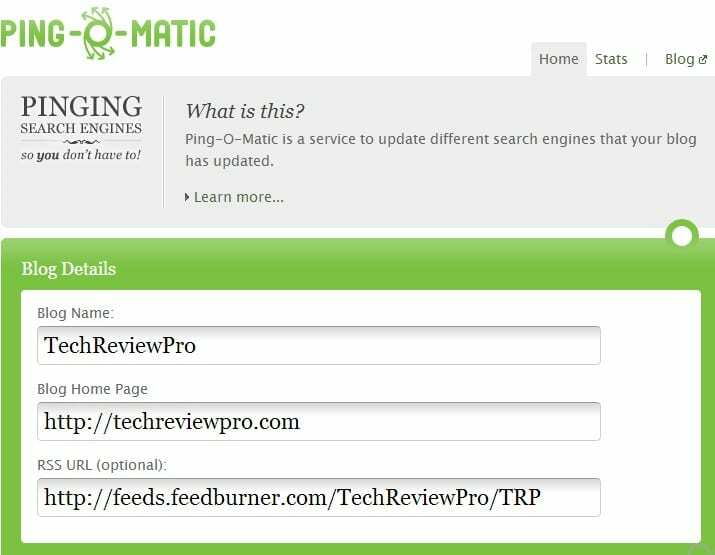 Ping services let search engines bots know about the changes in your blog immediately by pinging. Though WordPress has a default ping service, if you are using a different blogging platform or even being a WordPress user if you want much faster indexing, you must try this. Most popular ping services are Pingomatic and Pingler. Though there are many other ways to get your blog indexed in search engines, these five ways work very fast. So if you are unable to find your blog in search results, use these five methods, and I’m sure you will get your blog indexed in search engines within 2-4 hours. If you still have any problem then must let me know via comment section below. New SEO Techniques: How SEO Has Changed and What SEO Changes Will Happen in 2015? I never knew anything about the pinging services – thanks! Yea, it is true and as per my personal experience, pinging services work best when it comes to faster indexing. Hi, Rahul I really like your blog it really helpful. These days SEO is not a tough task but doing it, in proper manner is a really tough task. 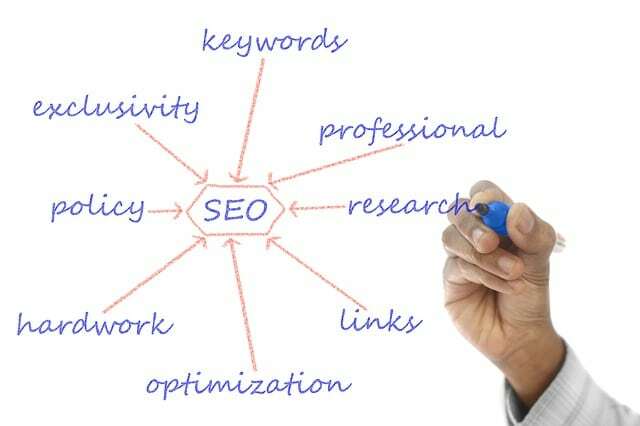 Your Blog Provide information how to manage SEO strategy. I can Say your blog in small Wikipedia of SEO. Previous: Hello, World! Welcome to TechReviewPro!